The Chek is packaged in a NEMA 4X, IP 65 enclosure 372 x 487 x 199 mm, that weighs about 14 kg. The standard enclosure is fabricated from an ABS/Polycarbonate alloy with a transparent polycarbonate cover. A separate aluminum panel encloses the operating parts of the Chek. The Chek enclosure internally is divided into an upper vented chamber which houses the electronics and a lower thermostatted chamber which houses the magnets, yoke assembly and measuring cassette. The enclosure is designed to be mounted on a wall or vertical panel using 4 wall mounting brackets (included). Both portions of the enclosure can be connected to an external inert gas supply for explosion proof environments. 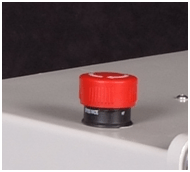 The Acorn Chek uses universal power supplies which automatically adjust to incoming power from 100-240 VAC, 50/60 Hz. The system requires 250 watts of power. An emergency switch is located at the top of the enclosure to terminate all power in the event the power must be cut from the device. Sample flows into the measurement chamber by pressure from the process stream and then flow is stopped for a short duration to perform the measurement. New material is pumped into the measurement cell and the process is repeated. 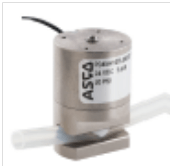 The flow of sample is to the Chek is controlled by software controlled electronic solenoid pinch valves. These valves work well with concentrated particulate dispersions and preserve the integrity of the sample. Pinch valves compress flexible 5mm tubing which can be replaced with each production run. Wetted parts in the Chek are user replaceable FEP tubing. Other materials are available on request. 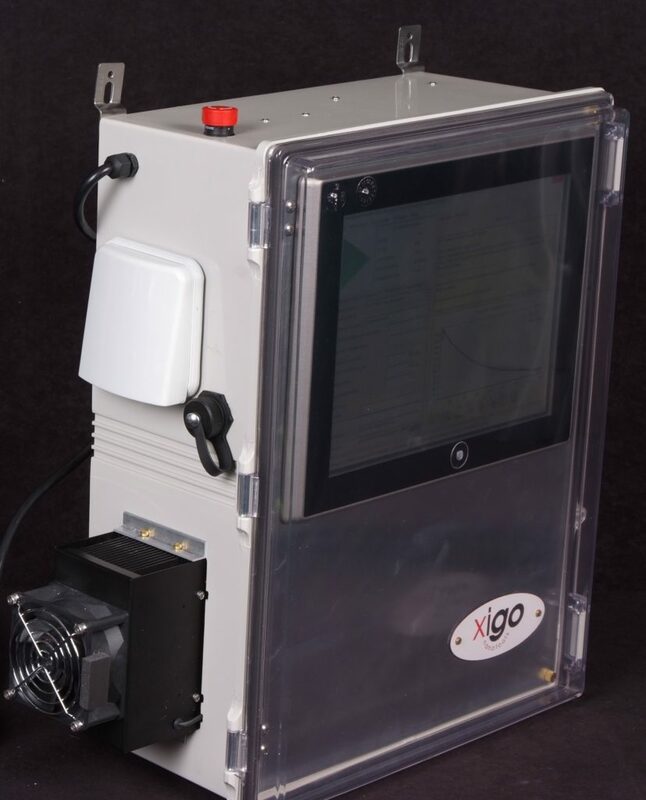 Measurements are performed using XiGo Nanotools patented flow through assembly which features a 4mm ID, 5mm OD FEP (Fluorinated ethylene propylene) polymer sample tubing. Connection for the measurement cell are 5mm O.D. push to connect fittings. 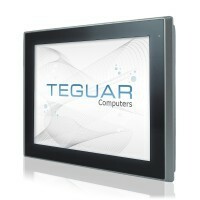 The Chek is controlled locally by a 307mm x 307mm fanless touch screen industrial PC with Intel (i7/i5/i3) processor. The sample flow to the Acorn Chek is regulated by programmable interface. A Windows 10 operating system (Other operating systems such as Windows 7 &8 are available on request). The PC also includes an Cat 5 (RJ45) network interface to acquire data or control the Chek remotely. 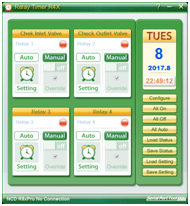 Tabular and or results may displayed on a remote PC. The native data file format is XML which is compatible with MS Excel or LIMS systems. 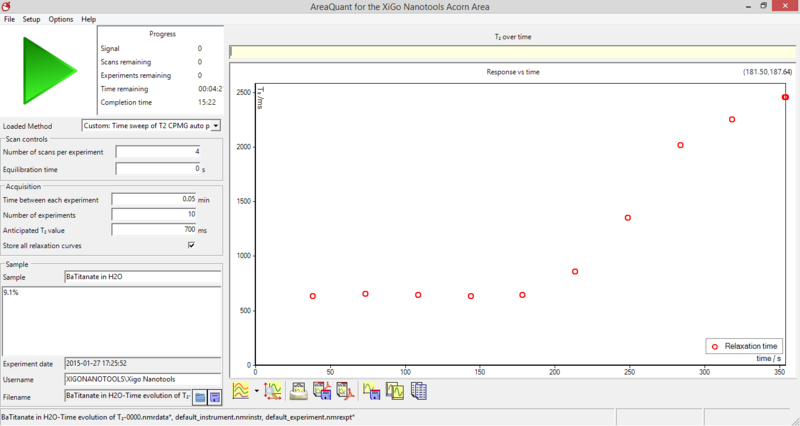 XiGo Nanotools AreaQuant software performs measurements of wetted surface area or relaxation time as a function of time. Measurement intervals and other data acquisition parameters are programmable. The Acorn Chek can also be controlled by an external programmable logic controller (PLC) from a variety of manufacturers such as Mitsubishi, Siemens, Allen Bradley, etc. The Chek includes a 144 Watt thermoelectric regulated air-air circulation system that will maintain the temperature in the measuring region to 0.1°C from 10-50°C. Sample temperature is regulated in close proximity to the sample and displayed in real time on the built in industrial PC. 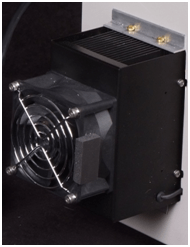 The thermoelectric control system features internal and external long life (50,000 MTBF)low noise (<55 dB) fans to keep the temperature of the sample and magnets stable over time despite changes in the temperature of your production facility. 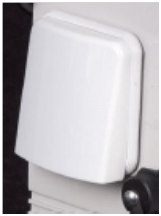 The sample wetted parts are all user replaceable with push to connect fittings. The pinch valve tubing is also user replaceable. One of the big advantages of this valving mechanism is that the valve itself has no wetted parts, so replacing the tubing is sufficient. The valve control software can control up to 8 different electronically controlled solenoids using the optional valve control pcb. This enables to user to clean the wetted parts by flushing the system with solvent. The flow cell and all the important PCBs, power supplies, etc. can be replaced by the user in a few minutes. All hardware components are configured by software, no hardware adjustments are required. 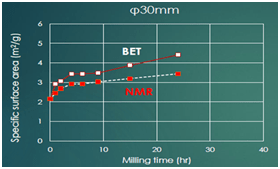 While milling and grinding operations are one application, there are many other uses for this measuring method in manufacturing. For example, the Acorn Area measurements have been used successfully to follow particle formation processes such as precipitation. Please contact your XiGo representative to discuss your application in detail, or to arrange a demonstration of the Chek.